​In order to determine what students know and how they perform academically, teachers at St. Joseph School uses a variety of formative and summative assessment tools. The most common assessments are those created by our professional educators evaluating curricular progress. In addition to subject-area evaluations, students take two different standardized tests. These instruments provide objective measurements of student achievement and growth. The results of these tests assist the school in evaluating our academic program, provide data for our ongoing school improvement plan, and allow us to evaluate our students progress over their career. Students in grades 5 and 8 take the ACRE Test each February. 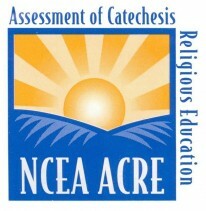 The ACRE Test is designed to assist school, parish, and diocesan leaders evaluate the faith, knowledge, and attitudes of students in Catholic Schools and the school’s religious education program. This is a school assessment tool. Students do not receive personal results. Students in grades 3 through 8 take the Renaissance STAR Test a minimum of three times each year, once in the fall, winter, and spring. 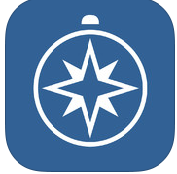 STAR is used throughout the school year as an interim assessment as well as once a year as summative assessment. It measures both student achievement and growth. Students take Renaissance STAR on a computer and the results are available immediately. This is a responsive test; each student receives different questions based on their ability level and progress. STAR is primarily used to assess and guide instruction. Scaled Score (SS) is useful for comparing student performance over time and across grades. A scaled score is calculated based on the difficulty of questions and the number of correct responses. Because the same range is used for all students, scaled scores can be used to compare student performance across grade levels. Star Reading scaled scores range from 0 to 1400. All norm-referenced scores are derived from the scaled score. Percentile Rank (PR) is a norm-referenced score that provides a measure of a student’s reading ability compared to other students in the same grade nationally. The percentile rank score, which ranges from 1 to 99, indicates the percentage of other students nationally who obtained scores equal to or lower than the score of a particular student. For example, a student with a percentile rank score of 85 performed as well as or better than 85 percent of other students in the same grade. Normal Curve Equivalent (NCE) is a norm-referenced score that is similar to percentile rank, but is based on an equal interval scale. This means the difference between any two successive scores on the NCE scale has the same meaning throughout the scale. NCEs are useful in making comparisons between different achievement tests and for statistical computations—for example, determining an average score for a group of students. NCE scores range from 1 to 99 and are mostly used for research. Grade Placement (GP) is a numeric representation of a student’s grade level, based on the specific month in which a student takes a Star Reading test. Star Reading considers the standard school year to run from September through June and assigns increment values of 0.0 through 0.9 to these months. The software automatically assign grade placements using a student’s grade level and the month in which a Star Reading test was taken. GP is important because PR and NCE values are based not only on the Scaled Score but also on the grade placement of the student at the time of the test. Zone of Proximal Development (ZPD) is a range of readability levels from which a student should select books to read. It is a range that is neither too hard nor too easy, within which students can experience optimal growth. Students’ individual ZPDs are reported on the Star Reading Diagnostic, Parent, Reading Range, and Summary reports. Remember that ZPDs are approximate and professional judgment should be used to adjust the range to fit the ability level of each student. Estimated oral reading fluency (Est. ORF) is an estimate of a student’s ability to read words quickly and accurately in order to comprehend text efficiently. Students with oral reading fluency demonstrate accurate decoding, automatic word recognition, and appropriate use of the rhythmic aspects of language (e.g., intonation, phrasing, pitch, and emphasis). Est. ORF is reported in correct words per minute, and is based on a known relationship between Star Reading performance and oral reading fluency. Est. ORF is only reported for students in grades 1–4.